12:00 - 14:00 : Everyone arrives at the cottage via Camp Tapawingo, Parry Sound. Yes, you’ve heard it right: Jonathan and Kristen are finally going to tie the knot on Tuesday September 2nd 2008! 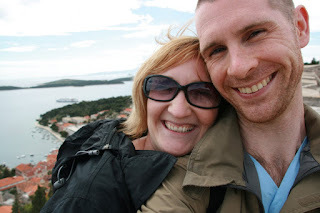 Since the wedding we have planned is rather untraditional, we have decided to use our blog to get all the important information out to all the important people! This is the plan. 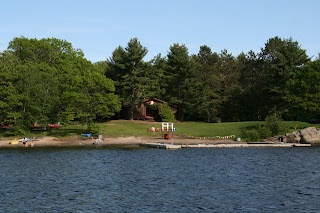 Sunday September 1st is COTTAGE/CAMP DAY! You, our guests, will hopefully arrive at the Pomes Family cottage in Parry Sound in the early afternoon, after a traffic-free drive from home. Once here, there will be plenty of activities to entertain. We can swim, or jump on ‘Splash Island’, or we can go kayaking, canoeing, or maybe even tubing! Or, we can just sit around and relax on the dock. For dinner we will have a scrumptious BBQ…Mmm. Then, with full bellies, we will embark on the MV Chippewa III (which is a retired Maid-of-the-Mist boat) for a sunset cruise! The Chippewa will drop us off at Camp Tapawingo (see below) for a campfire, at which time a gourmet selection of s’mores will be offered, for your marshmallow-toasting convenience! WARNING: Campfire sing-along will ensue! As far as accommodations go, there are plenty of options in Parry Sound. However, the best deal going is at Camp Tapawingo, which is where our very generous families have agreed to rent out as many cabins as we need for willing guests. That’s right, FREE accommodation! We really appreciate everyone coming all this way for our wedding, and would love to be able to put everyone up at the cottage, but with only one room, it might be a little tight. Soooo we made an extension.. its called Camp Tapawingo. Lets talk more about this. Since the cabins are pretty much an extension of the cottage. This means cottage-style rustic. There are bathrooms and showers, close, but not in each cabin. There are bunk-beds in all the cabins, with mattress. Most of the cabins sleep about 8 people, and everyone could be grouped with people that they are most comfortable with. You will have to bring your own sleeping bag and pillow though. This is a really really great option, for you, and for us. The camp is literally RIGHT around the corner from the cottage, so it is a perfect base to pick up and drop everyone off. It eliminates any need to find a designated driver, as all transportation for the cottage day will be provided out of the Camp. And its road access!! The campfire will be at Camp Tapawingo, so those sleeping there can just crawl right into bed when they get tired of the sing-a-long! And, I really think it will just be fun! Jonathan and I will both be staying at the Camp the night before the wedding, because we know that’s where anybody who’s anybody will be!! And did we mention that it is free? We’ll also be picking up a small hassle-free breakfast, tea and coffee on the morning of the wedding to bring to the lodge at the Camp: because we will all need our Tim’s energy! September 2nd 2008 Jonathan and I will (finally) be getting married at the Church of the Redeemer in Rosseau, Ontario at 11am. 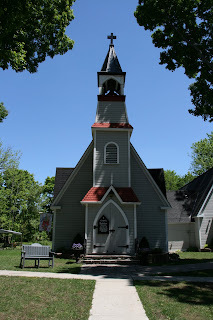 Rosseau is a village very close to the heart of my family. The Church of the Redeemer is an Anglican Church, and we will be having a traditional service, with communion. Although it is an Anglican church, every person who is baptized Christian will be welcome to take Eucharist during the ceremony. So those of the family who are Roman Catholic can certainly partake. We know that September 2nd isn’t the most convenient of days to get married, so we really do appreciate you going to the effort of being there for us. It means a lot. That being said, we completely understand if you can’t make it, and will not at all be offended. 17:00 (approx) BBQ a la cottage. 18:30 (approx) We will all get shuttled back to the Camp to be picked up by the MV Chippewa for a sunset cruise and dessert. 20:30 The MV Chippewa will drop us all back off at the Camp and we will end the night with a campfire, complete with many delicious varities of s'mores.. and a sing-a-long! Bring your guitars and campfire song book-let! Just copy & paste these into a Word document and you will be good to go!!! You will go back over the highway. Continue on Bowes. At the end of Forest (1.5km) turn RIGHT on PARRY SOUND RD. When the Road makes a sharp turn to the right to go over the Parry Island Swing Bridge. – KEEP STRAIGHT on the dirt road. 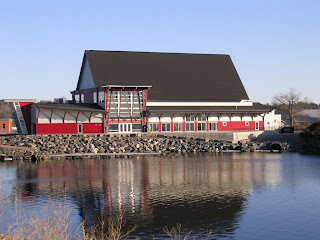 You will pass the driveway to the Glen Burney Marina (on your right) and at some points feel like you are going through a parking lot… not to worry. When you see the big boat storage sheds… keep to the right and just as you round the corner, you will see the driveway to the Glen Burney Lodge. For CAMP TAPAWINGO – continue on the road another .5km and you will see the sign for the Camp. If you are staying at Camp, please drive in the road. If you are just coming for the day, please park in the open area just past the Camp Sign –near Garbage Bins. It’s less than a 5 min. walk into the Camp. You may drive in & drop people off. Please arrive no later than 2:00pm for the ‘Boat Taxi’s’ to the Cottage. Boats will also be picking up at the Glen Burney Lodge Docks. Remember you sweater/jacket for the Cruise & Campfire. Lawn Chairs may be left at Camp for the Evening Campfire. 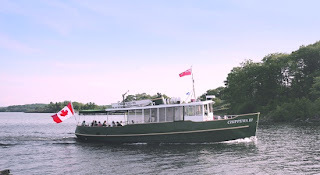 Dinner will be served 4:30- 5:30pm, then we’ll begin the Boat Taxi Shuttle back to Camp where the Chippawa VI ( former Maid of the Mist) will pick us up for the Sunset Cruise 6:30- 8:30pm. We’ll enjoy desert on the cruise. The Campfire will be ready on our return. S’Mores and Spider Dogs! It’s a 35 min. drive from Town so a little longer from Camp. We suggest CAR POOLING – Cars may be dropped off in Town at the Stockey Centre where we will be returning. Parking for the Church will be on the road Church is on and/ or on the road near the Community Hall. Group Picture – K & J would like to take a group picture either at the Church or the Stockey Centre….. SMILE! Stockey Centre – 12:30 – 3:30 pm light lunch & champagne! This will circle around and you will need to stay to your right. Continue on ‘old’ #69 (1km) to Hwy #141(on left) to Rosseau. It’s about 20 minutes to Rosseau. The Liquor Store is on your left… and on the other corner is the Ariss Family Home where Grandma Mary/ Mrs. C….. was born…. And where Penny, Joey and Danny spent their summers growing up. Yahoo! Go one short block and turn LEFT. The Church of the Redeemer is on you left. Hwy 141 back the way you came. Turn Right and keep to your right to get back on to the #400 north. Again, Exit at BOWES Street and continue on Bowes (becomes Sequin St. after you cross the River) until you come to the lights at JAMES ST. Turn LEFT on JAMES and go to the very end. The STOCKEY CENTRE will be on your right. We are mailing/delivering these directions and maps!! Let us know if you want to stay here! We aren't registered for very much because we are trying not to buy things made in China and the like. We have just found a Canadian made cookware and kitchenware line out of PEI and have registered on their website! This is quite exciting for us!